Planning to participate in the AMG Driving Academy for thrills? Well, how about a discount? Here’s how you can save on AMG’s high performance driving school. 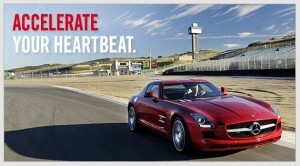 Mercedes-AMG offers Mercedes-Benz Club of America (MBCA) members special pricing to attend the AMG Driving Academy. The discounts are significant and it only costs $45 to join the club (www.mbca.org). You get it – join MBCA and you’ll qualify for the AMG Driving Academy special pricing discounts listed below (U.S. tracks – see below). What is the AMG Driving Academy? Mercedes-AMG and Skip Barber Racing School are both pumping out the PR for the upcoming AMG Driving Academy events. The AMG Driving Academy is taking place on two of the most legendary U.S. tracks, Road Atlanta (GA) and Laguna Seca Raceway (CA). Participants will experience AMG’s true performance capabilities with the help of trained race instructors and some of the finest hand-crafted performance vehicles made by Mercedes-Benz. GET READY for an experience that you will never forget… GET SET for some of the best training at two of the world’s best circuits… Accelerate your heartbeat! The AMG Driving Academy “Pro Level” is available this year at Road Atlanta (June 28-30, 2010). 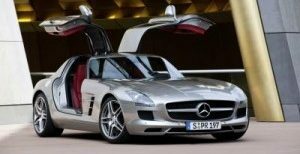 And, they added the SLS AMG to the list. Following its inaugural year in the U.S., Mercedes-AMG is presenting a new season for driving enthusiasts who want to sharpen their advanced driving skills at the AMG Driving Academy. Among the list of enhancements is the addition of a Pro Level for 2010. Under the guidance of top professional instructors, the AMG Driving Academy offers the opportunity to personally experience the excitement of motorsports and the track capabilities of Mercedes-AMG vehicles including the all new 563 hp SLS AMG, capable of 0-60 mph in less than four seconds.